Denmark. Colombia. Australia. Argentina. Poland. Colombia. India. No, we’re not curating a list of ideal vacation destinations. But YES, we’ve definitely gone global recently, in our own sUAV kind of way. The aforementioned are actually some of the regions where PrecisionHawk has operated in over the past year. Much in part to more established regulations and other instrumental factors, there exists a bevy of strong commercial UAS markets outside US and Canada. In 2014, our team has grown from 10 to north of 50 and we’re just about ready to kick things up a notch. Who better to guide us in this new adventure than someone with deep knowledge and strong roots in both the agriculture and aerospace sectors? 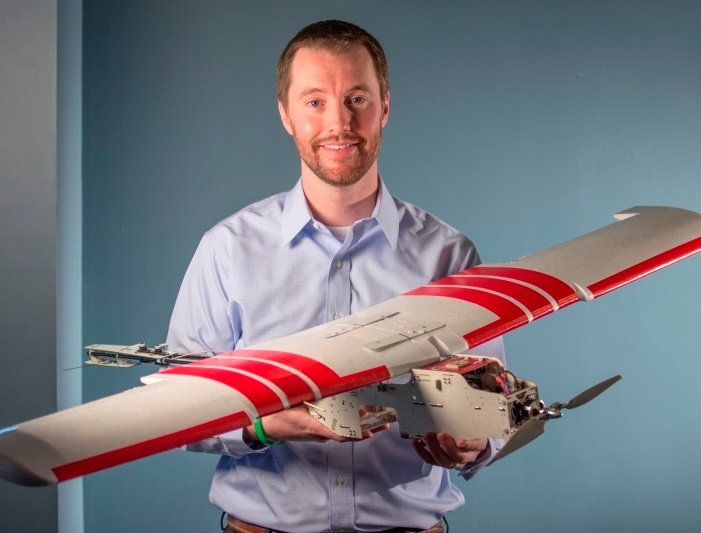 PrecisionHawk is very excited to introduce Thomas Haun, our new Vice President of Strategy and Globalization. Thomas is a sales and business development professional with a decade of experience in building new business opportunities, maximizing financial impact & identifying and maneuvering global economic trends. With an undergraduate degree in Economics and Mathematics plus a Harvard MBA, Thomas has spent the last 10 years helping multi-billion dollar companies grow partnerships, increase revenue, and carry out successful business development efforts. From 2005 to 2009, Thomas assumed multiple key roles at Northop Grumman that ultimately led to over $100M in new contracts. Following his move to Dupont Pioneer in 2011, Thomas drove over $80M in additional revenue by pinpointing global marketing opportunities, building a scalable agriculture services business, reducing development time-to-market and maximizing overall financial gain. What interests you most about PrecisionHawk? What level of impact do you believe UAV technology and high resolution aerial mapping can have on civilian markets of the future? Your experience in DuPont Pioneer and Northrop Grumman seems to make you a perfect fit for PrecisionHawk. What are you personally most looking forward to work on that contributes to the sustainable ag space? If you have questions, interesting ideas, or simply want to wish Thomas well on his new venture, drop us a line at info@precisionhawk.com or via Twitter @PrecisionHawk.